I'm back with a new (3 ways series) from the category "One pair of jeans, 3 bittersweet colors combination" and this outfit today is the first, two more are following in the next days. I've always loved this color combination, pink and gray and this outfit can be easily worn for a brunch with the girls. Classic, easy with the right amount of femininity. 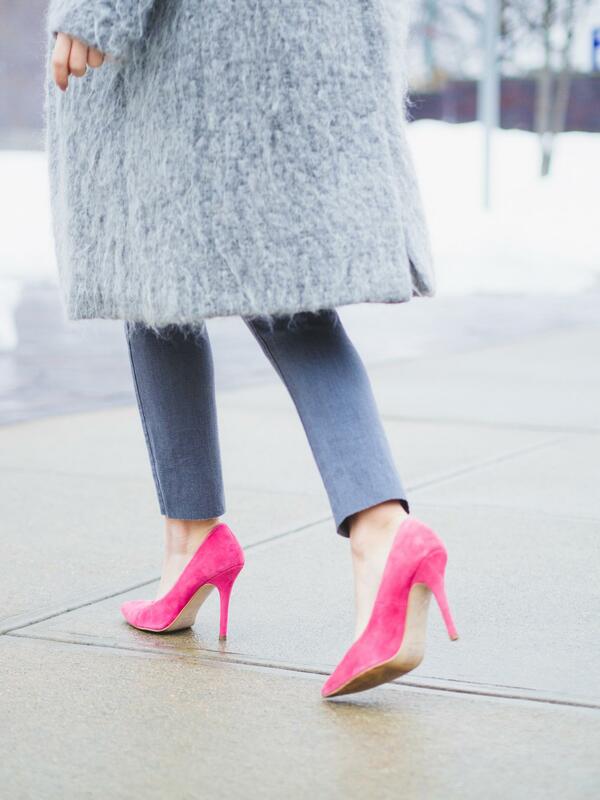 The pop of pink color is my favorite part of this outfit. 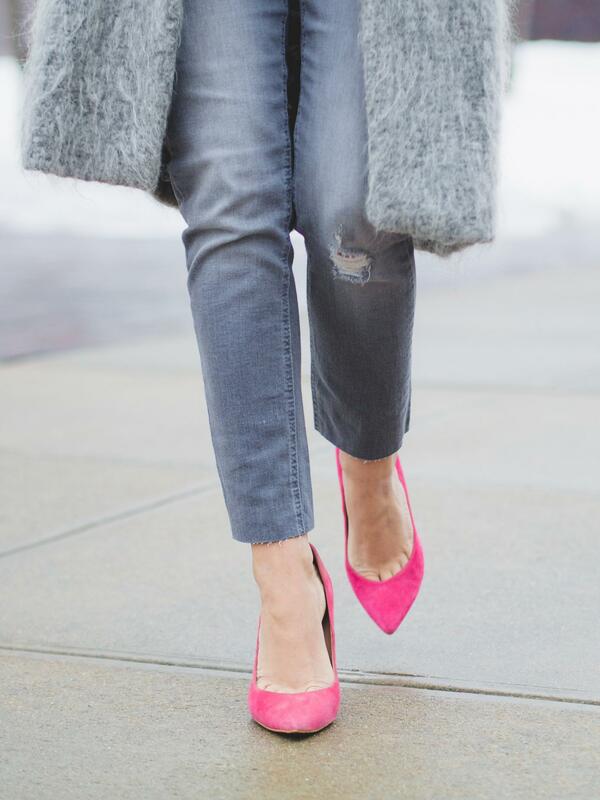 Loving that pop of pink here!